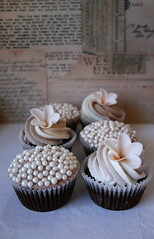 A mix of edible pearls & frangipani flowers on chocolate mud cupcakes. 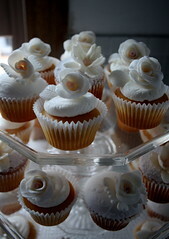 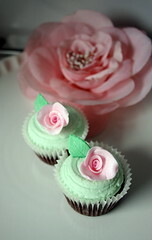 An eclectic mix of pearls, flowers & frangipanis (all edible) adorn these wedding cupcakes. 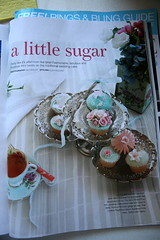 "Bride to Be" magazine April 2008 issue. 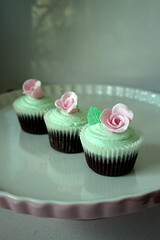 Labels: "wedding cake" "wedding cakes" "wedding cupcakes"
Chocolate mud cupcakes with buttercream & hand made pink roses. 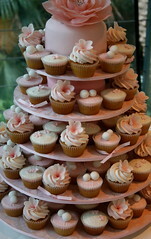 Labels: weddings "wedding cupcakes" "wedding cakes" "wedding cupcakes in australia"
Wedding Cupcakes, originally uploaded by kylie lambert (Le Cupcake-Australia). 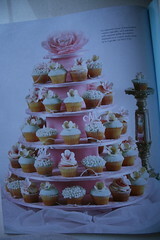 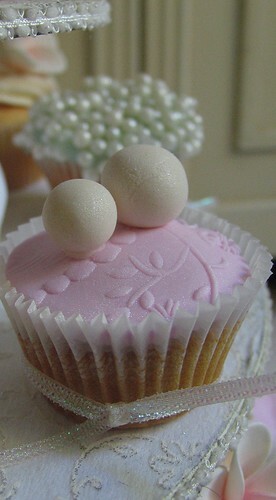 Our famous patterned lace topped fondant cupcakes with pearls, on a ogrgeous custome made & designed Le Cupcake stand.